Here's a fact: I removed SRK from that pantheon inside my mind a few years back. Since he cannot stop doing that grand-romantic-gesture of his, hands stretched out, upper body bent at the waist with that stupid cocky dimpled grin on his face never wiped off. 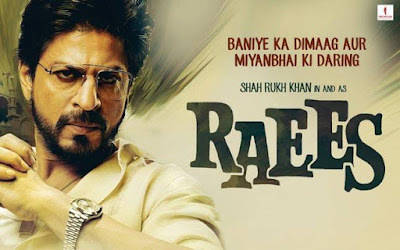 They kept saying he should learn to play his age and take a leaf out of Aamir Khan's book, maybe play a 'real' character instead of the same old superstar version of himself in every romantic movie. Even Salman Khan has learnt to take a beating ('Sultan') and toned himself down, not playing the Bhai, even trying to emote a bit. I haven't read a super-hero theme book in a while - (Note to myself: Need to speed up, finish the Reckoners series by Brandon Sanderson, I have only read Steelheart.) and so when I read the excerpt, first chapters of Dreadnought by April Daniels, I just couldn't resist my trigger-happy finger from requesting a copy. And Baaam! < comic-book style large-sized fist slamming into you!> I am floored! Keeping in with the Wednesday themes of noting down some of the noteworthy releases coming up for the year, this week on this meme (run by Jill @ Breaking the Spine) I'm extremely kicked about this standalone book in the Universe of Emperor's Blades, the Chronicles of the Unhewn Throne - that really saw Brian Staveley catapult to the top-list of my favorite-fantasy-writers. The series, by the way, is finished and can be read as an excellent fantasy magnum-opus of the grim-dark and brutal variety that has it all - politics and war on an epic grand scope, sibling rivalry, ancient magic and secrets - executed in the most amazing manner that feels so heartrendingly and yet so good. 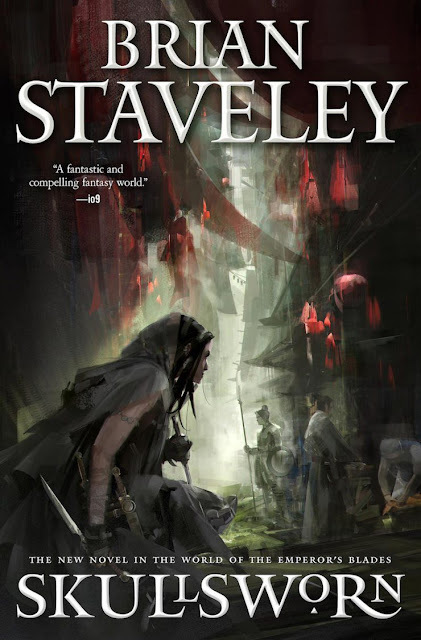 Even though epic fantasy is my favorite genre when it comes to speculative fiction, I find of late I've been veering more into 'easier' sub-genres to read, like urban fantasy or the dystopian settings. Now easier of course is a relative term as I generally tend to blast through the urban/dystopian settings relishing the pace and thrill of a novel set in times and a world, familiar to the ones we are in. 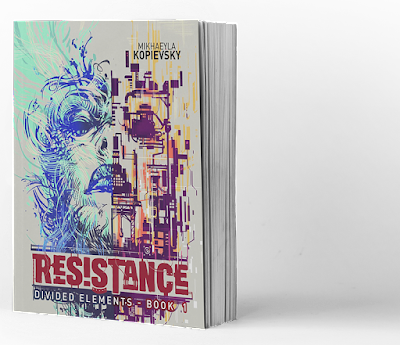 And so, when I first requested for Resistance, the debut novel from Mikhaeyla Kopievsky that is the first part in an intended series, Divided Elements - the premise looked familiar and a path, well-trodden before. 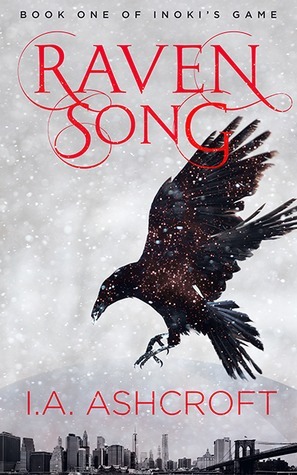 Raven Song is the first book in this series called Inoki's Game, by IA Ashcroft introducing us to this dark, dystopian world, teetering after a nuclear holocaust, filled with magic and inexplicable dangers. I took this up on a whim after I read the premise of the book. I signed up for the blog tour ( and as usual, I got a bit late in posting the review!) and started the same, the last week of my holiday season hoping I could whizz through it. Alas - a combination of reasons saw me plod through it and not wrap this up in time. Well, mainly two reasons. The pacing of the novel and of course, the new year rush that crowds in on your time. 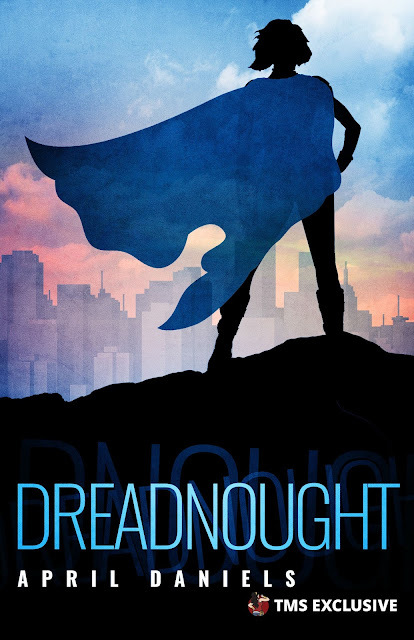 This week, the second Wednesday of the year, keeping in with the traditions of ringing you guys in on what's hot and eagerly-awaited-for-release on the book circuit (meme originally started by Jill of the Breaking the Spine blog), we are delighted to present - an action-packed YA/LGBT-themed superhero thriller called Dreadnought ( Book One, Nemesis) by April Daniels. Amanda Hocking has been a publishing sensation - with more-than-a-million-copies sold of her massive hit series, "Trylle trilogy" - and from what I could gather, I definitely think she is a prolific writing machine. Putting out one book after the other in humanly impossible time intervals. So Freeks came out on Jan 3rd, 2017 and I was lucky enough to have snagged an early copy and be a part of the . Having never read a Hocking book before, I was eager to dive in - and the dry dusty carnival setting in this cold, mysterious town called Caudry really lured me in. 2017 crept upon me, unnoticed. Literally. I wasn't prepared for the calendars to flip over a new page. a new YEAR. I was off vacationing in the jungles of Angkor Wat and busy bumming away on the beaches of Krabi, the real world a forgotten hazy dream, my only reality being the brilliantly azure stretches of the sea, the twisting gnarled roots growing out of the magnificent ruins of an empire and civilization, long forgotten - And then, time pulls a fast one on me. Damn, where did year 2016 go?